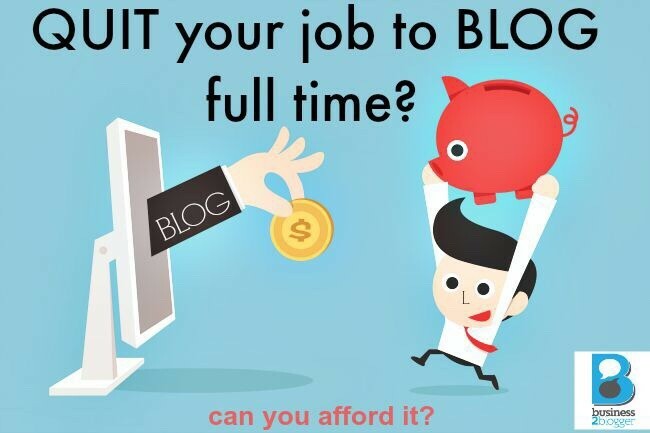 Can you afford to quit your job to blog full time? With that being said, I want to tell you that my first month blogging, I made $5. Yep… $5. Do you know what? I was SO excited about that $5! I couldn’t believe it! Then it went up from there… pretty soon it was $300, then $3,000, then $30,000. I just want you to know that it is possible, but I also want you to know that you have to be prepared. Normally I am a “jump with two feet” type of girl, but when it comes to quitting your job, it is more of a “toe in the water” type of thing. Today, I have invited Elizabeth from r​eluctantlandlord to talk to us about finances that need to be in order before you quit your day job. (literally). Our dream evolved more when we were in South Texas during our second year of marriage. Not only did we want me to be able to stay home with our children, we wanted to be financially independent at the ages of 44 and 42. That will be the year my husband could retire from the Navy with a full pension and benefits, God and Navy willing of course. This dream makes things more complicated because now we do have to worry about all the “other stuff” ­you know the benefits to a position other than an income. As the ultimate planner and a financial analyst by training (MBA with an undergraduate in finance with a minor in accounting), the husband and I have been planning and talking about our “exit plans” for years. The goal of this article is to share all of our research to help you become a one income family to TOTALLY self sufficient. No matter how well you or I prepare, there will never be a life without surprises as an Entrepreneur. 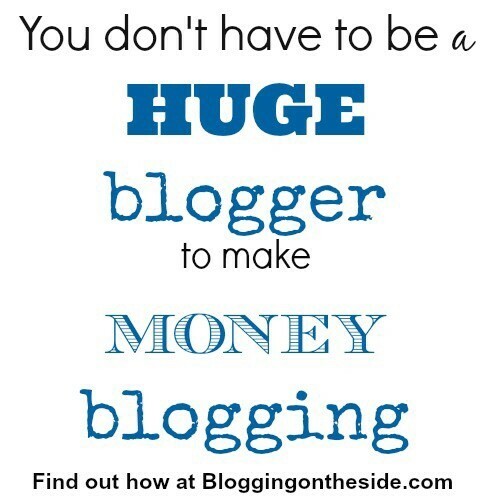 No matter how much you make as a blogger, it has always been on top of the other income. For example, I make almost $2,000 after 4 years of investing in real estate but that is in addition to my $5,000 income after working in my field. When my blog AND real estate empire take off and reach my goal income of $5,000, ​I plan to quit. The thing I have had to keep in mind is even when I make up my income $2,000 from real estate + $3,000 from blogging (so 10k) I will go from 10k to 5k when I leave my job. ​That will be an adjustment, even if it’s just emotionally because you have never touched the “replacement” income. My goal is to spare you some financial ulcers that we have had the pleasure of experiencing first hand. My husband is active duty military so we move A LOT. During our last move, which was unexpected and last minute, I was unemployed for 13 months. We learned a few things the hard way. This experience turned out to be a blessing in disguise as we were able to learn some lessons before I went back to work and quit again for “real”. The one thing I highly advise against is leaving your stable full time job if you are not in a great financial position. We lost my job just after we bought our 3rd house due to an unplanned military move. We had to buy another house to live in and deal with all the financial burdens without the added benefit of a second income. It all worked out and we bought an amazing 4th house that turned out to be one of our best rentals ​(Case Study #4). While I am a better landlord today because of those experiences, it taught me a lot. Lets just say the experience was a lot more stressful because we had a very puny savings account. While I learned more than I ever imagined, because failing was not an option, it was not enjoyable. Here are 13 tips that will lead you to a more succesful launch than we had. 12 Month Emergency Fund – When you plan your budget anticipate expenses going up 20­ – 25%. When you have time to yourself again, you are going to want to “do” things with your time. For example, I know in my head I already want to go back east and see my girlfriends from a previous duty station. I also want to go overseas to visit some buddies for a wedding and stay longer than if I had to go to work. So you make sure you have 12 months worth of funds that liberal fund. 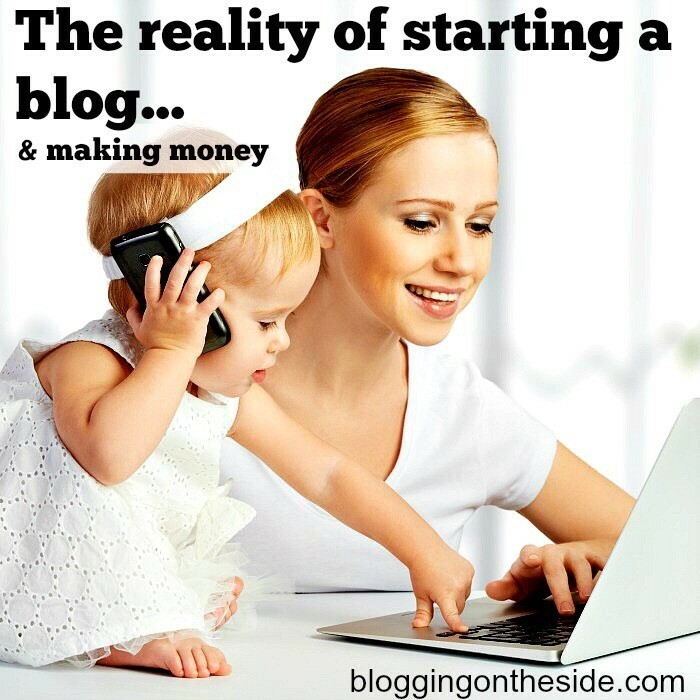 Quitting to focus on growing your business will be a lot more fun if you can go to all the blogging conferences or take the kids to the beach. Housing – ​­As crazy as this sounds,if you have not bought a house you might want to think about it. Mortgage companies are fickle beasts (Interested in learning more? I talk about mortgages in depth on reluctantlandlord). Once you give up your job you are going to have a lot of trouble qualifying for a loan. They scrutinize self employment very hard. The same with landlords. Therefore if you are renting and plan on staying in your rental then I would sign a 2 year lease. This is usually how long people want to see if your business income is on your taxes. Transportation – ​­Car and car repairs can be very expensive and draining. The last thing you want is the constant unpredictable expense of car repair. You also don’t want it hanging over your head wondering if you car will turn on. I know we personally plan on making sure our cars our paid off and within 2­5 years old. If you don’t want to replace a perfectly good car but are concerned you would want an even larger “car” fund. Pay Off all Debt other than your Mortgage – ­You do not want debt when you are starting off. I highly recommend that all of your credit cards are paid off (even if they are 0%) and your credit score as great as possible. We use the credit cards as a back­ up to our back­up for emergency funds (if your active duty military or reserve on orders the Ame​rican Express card offers 0%)​. High Credit Score­ – ​I know there are many advocates who argue that you do not need a high credit score. From someone who moves frequently, trust me, it comes into play often (utilities, landlord, mortgage, etc). When you no longer have a secure job it is going to be even more important so make sure you have as high of a score as possible. I know for us our credit score has been the tipping point to people giving us the benefit of the doubt. Credit Cards – ­​If you are thinking about signing up for a new credit card. I would do it before you quit to make sure you can count your income for qualification. We use our credit card all the time as we are able to earn free rewards off every day business expenses. I use my loft rewards points to pay for my professional wardrobe. my time of unemployment was our inability to borrow money. Even though our houses made money, we had not been at it long enough to “count” this money. So we were unable to continue to grow our houses until we had been at it 2 years. So be prepared to pay cash for a while to prevent your growth from being stunted. Insurance­ – ​This could be expensive so make sure you have a solid quote. We had a bad experience with a car insurance dropping us 3 months after we bought a new car at renewal time because the new car made us non­renewable. I would make sure I not only had my coverage prepaid but also have everything in writing. Short/Long-Term Disability­ – ​Many companies cover this as a part of their benefits package. If you are the sole breadwinner then having Aflac or another insurance on the side is going to be important. Make sure you don’t forget about this. Tip: P​repay 12 months of your expenses before you quit. ­ I cannot recommend this enough. Prepay all of your expenses and then you leave. Not only will it give you peace of mind that they are all paid you will also have an exact amount to place into a savings account for the next year. Establish a Team – As an Entrepreneur and full time blogger, you are running your own business. You are taking over responsibilities that companies have whole departments (Legal, HR, Accounting, etc) to manage. While more expensive in the beginning it is going to be important that you have a team that supports you from day one. I have found the hard way that having contacts that you have established a relationship before an issue comes up is a lot easier. When one of our tenants wanted to buy our house, it was awesome to have a CPA to call and ask questions. The same came to play when we had a problem child tenant and needed immediate help. Our lawyer who had done our wills finished everything same day, preventing a sensitive issue from blowing up. The last thing you want is to waste valuable time trying to put your team together. Here are the top three types of people that I would not only have in my contact list but also have an established relationship. Lawer (Wills, Estate Planning, Business Solidification)​­ I have a lawyer who is in charge of helping me with my blog business. I have another one who I use solely for my real estate dealings. It looks like I will soon need to get one to help with estate planning. A great lawyer certainly is not cheap in the start up cost but they have saved me so much over the years. A lawyer is one of those assets that you won’t know the importance of having in your back pocket until it is too late. CPA­ ​Your tax liability, both personally and as a business,will drastically change. You will also have to file taxes quarterly. I personally have an accountant even though I have a background in finances/taxes including having a job as a tax consultant. After 4 houses it was simply safer to hire an accountant. My accountant saves me way more than her $300ish fee she costs me. Financial Planner​­ I will be the first to confess that we don’t have one and probably won’t hire a planner any time soon. Its not because it is not super important. It is because I love personal finance and it is a second hobby of mine. So I am too much of a control freak over this area to hire someone. I am also blessed that this is a favorite topic for my dad and I. He is an expert so I have lots of help. On the other hand if you are not in my position it is imperative that you hire someone. You need them to help you work with your CPA to make sure you are saving for retirement, college saving plans, etc. One of the hardest things about working for yourself is basic things like retirement and business capital are no longer automatically budgeted for you. This has to be in the budget now and you need to pay these first. I know for us we automatically have the max retirement taken out of my husband’s pay check, my paycheck goes into a separate account, and our business accounts are in a separate place. Here are four places I would evaluate with my financial planner and CPA. Unexpected Surprises – There are going to be tons of surprises. Doing anything new and different is always going to be a challenge. One challenge I personally never expected was the flack I was going to take for just being an outlier and something that was not typical. I know the first 2 years people thought that being a landlord was stupid. My husband’s work buddies still jokingly calls me the slum landlord because it drives me nuts. These were some of the things that I think might come as a shock because they certainly did for me. Increased Expenses​­ I know when I was home I was driving a lot more than when I worked because I now had time to do things so I spent more money on gas. Unpredictable Income​­ In the rental industry income is pretty stable. Increased Scrutiny­ W​e started buying real estate during the crash. To say people thought we were crazy is an understatement. Heck, members of my family might of hung up on me when we told them we were buying our 2nd and 3rd rental. Importance of Tax Returns­​ Your tax returns are going to be the testament to your financial status. This is what everyone is going to ask for when validating your statement of financial stability. This article is not to overwhelm you or to make you think your dream is unattainable. Exactly the opposite. Your dream will be a reality. The goal is to make sure you have as few ulcer inducing moments as possible by making sure you think about these things NOW!!! We had the unique opportunity of having a test run when I lost my job because of a last minute military move. Boy, was it truly an eye opening experience. I learned more about making sure my business survived, how to budget, and honestly, it made me into the business owner I am today. It also had some rough moments because of many of things we didn’t plan ahead for because we couldn’t. Does this list show you all the things you are missing? Then come on over to reluctantlandlord.net.​ Every Saturday and Sunday I will release an article on how to get your newest financial adventure in order in the business department. We will talk about reducing your time on things like paperwork and invoicing, how to find the perfect lawyer, and the importance of diversification and many, many more things. What did I forget? What are you worried about when you forge your own path?